Andhra Pradesh Crime Investigation Department has attached the movable and immovable properties of Surat-based New Look Traders also known as NMart. The fixed deposits Rs. 2.61 crore parked in various banks throughout the country and immovable properties situated in Surat, Gujarat worth about Rs. 9.27 crore have been attached by the CID. The NMart has mobilised deposits from people of various districts in the then undivided State of Andhra Pradesh and all over the country too. After enrolling members into the scheme by collecting Rs. 5,500 per member, the NMart also induced them to enrol more members into the scheme with an incentive of Rs. 200 per member. 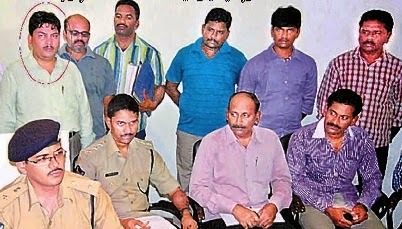 Subsequently, the case was transferred to the CID for further investigation.